First time in London? 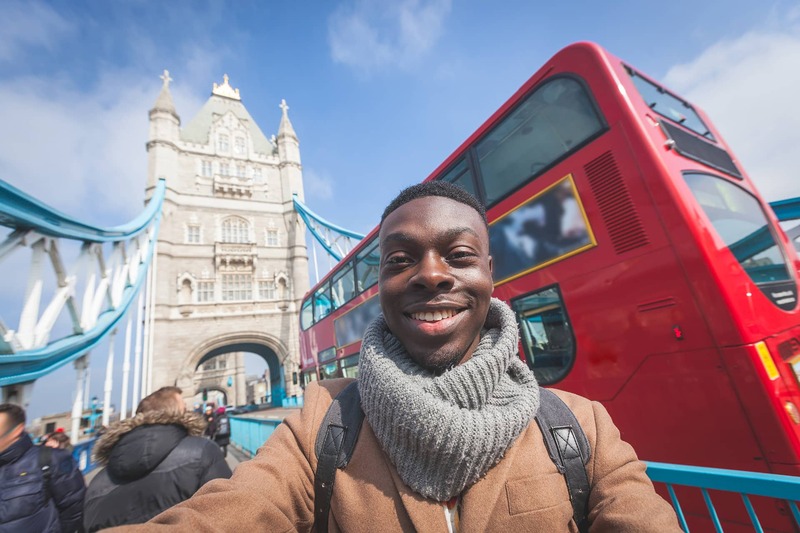 Set yourself apart from the millions of other tourists and first time visitors by avoiding these common London mistakes. Promised bright lights and good times, Leicester Square is first on most visitors to do list in London. Yet apart from being home to most of Britain’s movie premiers, Leicester Square offers little more than a tourist trap. Want to catch a movie? Head to one of London’s independent cinemas. Fancy a bite to eat? Stroll over to Soho for countless amazing restaurants. And unless groups of sweaty men desperately try to impress girls with cheap champagne is your thing then avoid the clubs there. And don’t get me started on M&M world. London is HUGE. With a population of the Metropolitan area reaching almost 13 million this is a big city with countless areas to explore. Yet many first timers to London avoid stepping into the big bad world of zone 2, 3 or **gasp** zone 9. 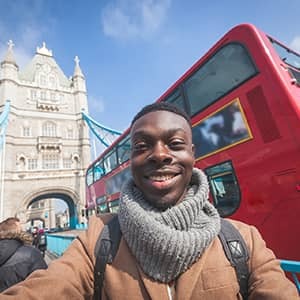 It’s true that you’ll find all the big attractions of London in zone 1 but if you really want to get to know then once you’re done with taking selfies in front of Big Ben grab a map, top up your oyster and start exploring beyond the boundaries of Westminster. There are literally hundreds of delightful things to discover in this sprawling city and some of my personal favourites include Broadway market in Hackney, London Fields Lido (a giant heated outdoor swimming pool in a park) and Highgate cemetery. Once you start exploring other areas you’ll start to see why many Londoners avoid central London all together. For a long time asking people to venture into the Southeast of London was like asking people to climb Mount Everest, on stilts. The lack of tube, high crime rates and a series of high profile violent events meant people viewed the South East like a crazy drunk on the street, it’s there but best avoided. Fast forward to 2014 and improved transport connections, falling crime rates and large urban renewal projects mean that more and more Londoners are discovering what the South East has to offer. Yes central London has its big name attractions but can it boast a fully restore 19th century tea clipper ship, a 130 year old observatory, a royal park with amazing views of the whole of London and the place where time itself began? Thought not. Plus there are rooftop cinemas, clubs in abandoned warehouses and a host of food markets, stalls and restaurants to keep you entertained long into the night. Disillusioned with East London the Hipsters are moving in, with Peckham recently be proclaimed to be the next Shoreditch. So you better head there now so you can be one of those smug people who can say I was here before it was cool. I’ll let you in on a little secret. I don’t care much for fish and chips. In fact I can’t remember the last time I had the heart clogging dish. Yes a battered cod with some chunky chips is still the staple for many but British cuisine has developed a lot in recent years and is much more complex and varied then simply fried stuff and beans. There are literally hundreds of different dishes to try and you’ll find many restaurants throughout London that specialize in contemporary or classic British cuisine. A good place to start though as always in Britain is at the pub. Pubs can be the best place to try amazing British cuisine although do your research first quality varies hugely. Also check out some of London’s many food markets to experience British food at its best (I would kill for the scotch eggs at Borough market). It’s also worth remembering that International food plays a huge part of the British diet and we love nothing more than Indian food, so much so that Chicken Tika Massala is our national dish now. Ask a local for their favourite local and then do as the Brits do and tuck into a delicious curry. Please, just don’t do it! I remember the first time I looked at the tube map as a kid I thought it looked a bit like someone had thrown multi-coloured spaghetti on the wall. And if you thought the map was complicated enough try figuring out the fare system. Peak, off peak, travel card, oyster, fare cap it can all be a bit much and blindly buying tickets can end up costing you an absolute fortune. It’s worth spending a bit of time working it all out and you can end up saving an absolute fortune. Some things to consider if you want to save cash include always traveling after 09:30, investing in a weekly/monthly travel card and getting a 16-25 railcard which gives you a third off peak fares. Remember it’s also worth applying for a student oyster card if you’re here for a while and studying. Also, always consider those big red buses as an option. There’s no peak time premium on buses, they’re cheaper, often run 24 hours and are usually very regular. It’s why the bus not the tube is the most popular form of transport in London. It’s a trick designed to catch tourists out so we can all laugh at them. It’s finally happened; London has the most expensive accommodation in the world. This is now a city where a garage was sold for ¼ of a million pounds and in some places in London house prices are going up £50,000..in a month. With a population that continue to grow and not enough houses being built the property market shows no sign of slowing down. This means that finding cheap, good standard accommodation is becoming more and more difficult and many people find themselves living in a Harry Potter style cupboard with little change left over from £1000 each month. Homestay is a really affordable accommodation option if you’re on a budget and you can include meals in the price as well to save even more cash. To save yourself cash try zones 3 or 4 where you get a lot more for a lot less and you can still be in central London in 30 minutes or less. Or you could really try sleeping in a cupboard. There’s so much to see and do in London why would you ever want to leave? !